There are lots of people crazy about motorcycling. Some may even value riding above spending time with their spouse or family. There is that spirit of adventure and feeling of freedom. There is nothing like the pace of a bike running down countryside, highways and most anywhere enjoying the gush of the wind, the smell of fresh air, stopping in some place to enjoy scenic view or simply get a cup of coffee or grabbing lunch or a snack from a roadside store or favourite hangout. Adventure motorcycling in the Philippines is no exception. There are numerous types of motorcycles in the Philippines such as sport bikes, touring, sport touring, cruiser (that is more defined by Harley-Davidson), standard, dual sport and the most popular among locals, scooters. In the Philippines, the most popular type of motorcycles are the cheaper ones from China, the China made clones of popular Japanese brands. Some other popular bikes include under bones /cub. Japanese made motorcycles can be found but are few and far between. When it comes to renting a motorcycle in the Philippines, the popular brands are Kawasaki, Suzuki, Honda and Yamaha. Almost all motorcycle rental companies have these brands. There are however things to consider or requirements to meet before starting your adventure and renting a scooter or motorbike. Most importantly is the license. For locals, license should at least have restriction codes 1 and 2. 1 for car and 2 for motorcycles. An international license is an advantage because there is no need to take any written or practical exams. For overseas visitors a photocopy of your passport will come in handy because most hire shops require it. Riding motorbikes in the Philippines is quite different from other Countries in terms of danger. Driving fast is not only dangerous but is virtually impossible. There are swerving vehicles most of the time and a fellow biker will make an overtake without warning. Not to mention animals like stray dogs and cats or even children suddenly crossing. As a general rule SLOW DOWN!. Most bike rental companies requires booking in advance to manage their schedules. Security and damage deposit is also required. For instance, Philippine Moto Adventures located in Dumaguete require 45,000 php (Philippine peso) for a Kawasaki KLR650, a daily rate of 3,500 php, weekly of 21,000 php, monthly of 65,000 php. For Honda XR200, security deposit is 10,000 php, with a daily rate of 1,500 php, 6,500 weekly and 20,000 php monthly. They don’t accept credit cards. Renters are advised to bring enough peso in cash. And for those who are not so experienced or technically skilled the company strongly suggest a guided tour or ride with a more experienced and skilled partner. 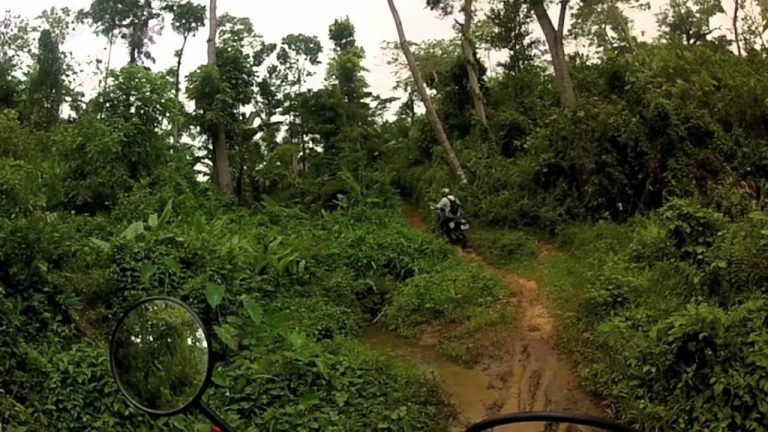 Philippine Moto Adventures has some great adventure motorcycling in the Philippines. A popular ride is the Island Adventure Tour for 8 days starting at Dumaguete then on to Cebu, Negros, Aklan and world famous party island ‘Boracay’. Book a group package for substantial savings. Costs for one rider can be as much as 190,000 php, a group of four will only pay 95,000 php each, a saving of up to 50% on the individual price. Adventure Motorcycling in the Philippines – So get some buddies together, pack your suit case, bring your gear and passport (no visa required for the Philippines stay up to 59 days free then extend for a period of 2 months up to 18 months total) and get on over here. What are you waiting for? “It’s more fun in the Philippines”.